The home of Standard C++ on the web — news, status and discussion about the C++ standard on all compilers and platforms. Episode 195 of CppCast the first podcast for C++ developers by C++ developers. In this episode Rob and Jason are joined by Victor Zverovich to discuss the fmt modern formatting library and the proposal to bring it to C++20. Call for Submissions is now open for CppCon 2019 to be held September 15-20, 2019 at the Gaylord Rockies in Aurora, Colorado, USA. The submission deadline is May 20th. Quick Q: Reusing a moved container? Quick A: clear() to make sure and use it as normal. 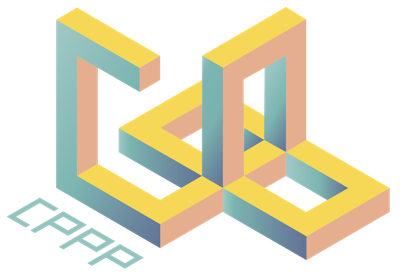 Here is an exciting piece of news for the C++ community: the CPPP conference has been officially announced! Episode 194 of CppCast the first podcast for C++ developers by C++ developers. In this episode Rob and Jason are joined by Guy Davidson to talk about his work with the ISO C++ committee including proposals for a linear algebra library and audio api. To wait until the real thing. 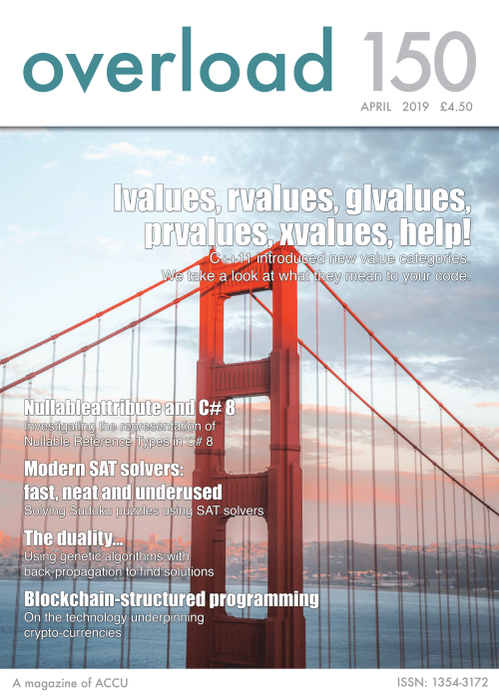 ACCU’s Overload journal of April 2019 is out. It contains the following C++ related articles. Quick A: Use the normal template declaration. using Vector = Matrix<N, 1>; The type Vector<3> is equivalent to Matrix<3, 1>. No need to do them yourself. The STL features a proud 105 algorithms, but that is by no means all the algorithms there is in C++. There are many ways to extend the STL. One of them is to include the STL-like algorithms that are in Boost, which I like to call the BooSTL algorithms! Episode 192 of CppCast the first podcast for C++ developers by C++ developers. In this episode Rob and Jason are joined by Gal Zaban to talk about Reverse Engineering C++. Gal is currently working as a Security Researcher. Her passion is Reverse Engineering with a particular interest in C++ code. In her spare time, when not delving into low-level research, she designs and sews her own clothes and loves to play the Clarinet. C++Now 2019 will be held in Aspen, Colorado, from May 5-10. Registration is still open! In this video, we continue our exploration of modern graphics technoloy. We look at the differences between current vector drawing API vendors, and explore the idea of fixed versus programmable rendering pipelines. We also explain the history of the most modern graphics API currently avaliable, Vulkan. 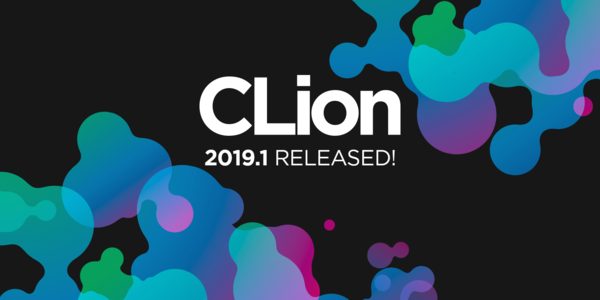 As announced earlier, our main areas of focus this year are IDE performance, expanding Clangd leverage, and Embedded Development. This update makes headway in all three areas. The theme of this year’s keynotes is Compile-time Magic and the first keynote that we are announcing is Hana Dusíková’s presentation of a library that performs at compile-time, work that is often done at runtime. Hana’s keynote is entitled Compile Time Regular Expressions with Deterministic Finite Automaton. doctest brings the ability of compiled languages such as D, Rust and Nim to write tests right next to the production code to C++. Version 2.3 brings an extensible reporter system and a few already implemented reporters with the framework - most importantly one for XML - vital for Continuous Integration (CI) workflows. Huge thanks to the Catch2 project for paving the way for single header testing libraries.